The weather forecast for tomorrow is a chilly 55° F, which kind of crazy because it was 81° F today. And then Wednesday the high will only be in the 40s. The important thing about that drop in temperature is that it means it’s a great time for cold-weather meals! 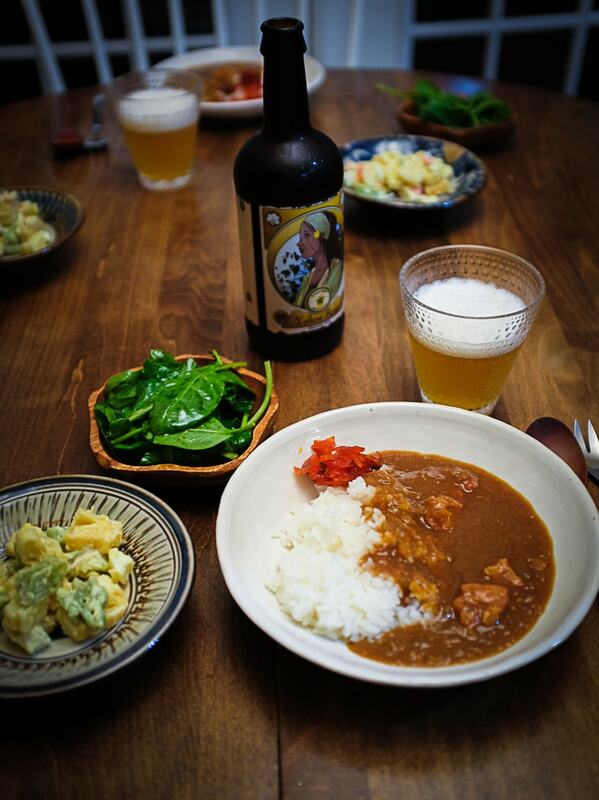 Tonight we enjoyed a yummy Japanese curry,  with pork and potatoes, accompanied by a “Christmas” macaroni salad. It had red and green pasta in it, hence the name. We all love curry year-round, but it’s especially great in the Winter. I can’t wait another cold-weather favorite: Oden. I know it’s coming soon!